Win a 7-day trip to GDC San Francisco! 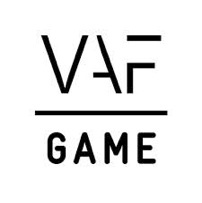 The National Lottery (link in Dutch only) and Vasco Data Security want to give a boost to game development education in Belgium. To do this they created the Belgian Game Development Championship (BeGDC), a competition in which students from the same school have to form a team of three to five members and come up with a concept for digital lottery games. First prize: a 7-day all expenses paid trip to the GDC in San Francisco (March). Runner up prizes: trips to the GamesCom in Cologne (August). Participating is easy. You register your team on the National Lottery website before October 31. After this you have time until November 22 to upload a concise video in which you introduce your team and game concept. The video will then be judged by a jury consisting of IT specialists, marketing professionals and seasoned game developers. It should be noted that the National Lottery is NOT looking for casino games, but for e-games i.e. games in which gain or loss has been previously fixed and the result does not depend on the way you play. To know what that means, you can take a look at some of the games (Cash Ball, Rabbits Run, Mollenslag) on the gaming platform of the National Lottery. On December 1 the best ideas will be selected for the semi-finals in which the teams are challenged to further refine and improve on their concept. They have to present their final concepts to the jury on December 5. By December 9 all of the finalists will be announced. The finalists must develop their concept into a fully operational, browser-based e-game by February 6, 2016 so the jury can decide which teams will win.